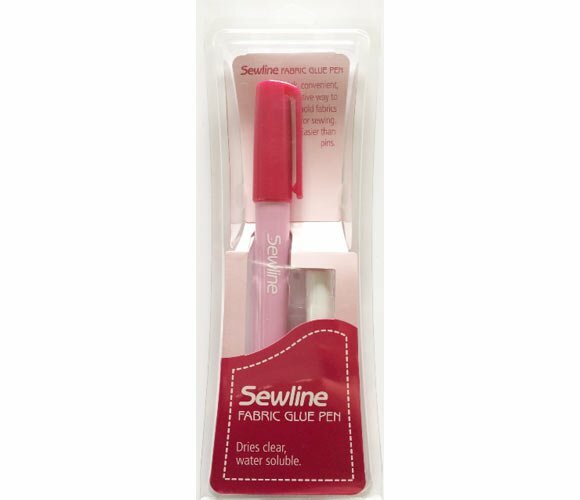 This clever glue stick means the end of sewing around pins! A water-soluble blue glue that dries clear is a quick, convenient way to hold fabrics for sewing. Great for quilting and applique work but also for hemming and general sewing. Once glued, the fabric pieces can be pulled apart, so not to worry if they are misplaced or need to be adjusted. Refills available in packs of 2. Wonderful time saver for English Paper Piecing. Recommended by Sue Daley – Patchwork with Busyfingers.